As the Affordable Care Act gave states incentives to expand their Medicaid programs, Oregon decided to go one step further. The state adjusted its Medicaid program with a new goal: reducing health disparities between White and minority enrollees. The most significant part of this plan was introducing coordinated care organizations (CCOs), which Oregon did in 2012. These organizations manage care for people enrolled in Medicaid, from primary care to dental visits, hospitalizations, and other health care services. They also promote the use of community health workers and a diverse health care workforce. 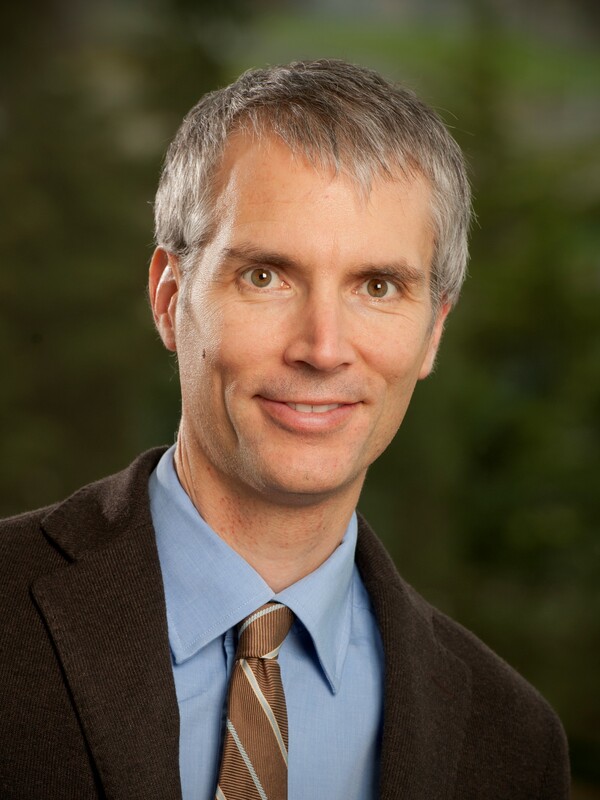 To determine whether CCOs are effective at reducing health disparities, NIMHD is supporting research by K. John McConnell, Ph.D., director of the Center for Health Systems Effectiveness and a professor in the Emergency Medicine Department at Oregon Health and Science University (OHSU). “A lot of health disparities are talked about in the abstract, but we don’t necessarily look in our own backyard to see what’s happening,” says Dr. McConnell. He presents some findings from his study, which began in 2016 and will last 4 years, in the March 2018 edition of Health Affairs. Oregon has a history of significant health disparities. In 2011, for example, more than 35% of minority women had no regular health care provider, compared with 18% of White women. The life expectancy for Black or American Indian/Alaska Native (AI/AN) Oregonians was 2 years lower than for White Oregonians.1 Among Medicaid enrollees, Blacks and AI/ANs have had less access to health care services, more frequent hospitalizations, and poorer health outcomes than Whites. Based on statistics like these and on community input from listening tours, the Oregon government explicitly identified “Health Equity and Eliminating Health Disparities” as a central goal.2 This has involved a concerted effort, focusing on the residents who have greater obstacles in acquiring quality health care. Each CCO was required to submit a Community Health Improvement Plan that included goals for reducing disparities. To improve health care access, CCOs were directed to provide services close to where members live. To encourage more minorities to enter the health care workforce, CCOs were given resources to train staff from underrepresented racial/ethnic groups. Lastly, to get more community members to seek health care services, the CCOs promoted the use of community health workers.3 Community health workers come from the community, so they know the community and its people. “There was a notion that having community workers would provide a way of improving the care, coordination, and access for individuals who otherwise wouldn’t have these things,” says Dr. McConnell. Some people will only get health care if someone personally connects with them and communicates in a way that makes sense. As a health economist, Dr. McConnell got interested in Oregon’s Medicaid program for two reasons. First, “there was a lot of innovation happening in Oregon, so it’s easy and exciting to study,” he says, and there’s a chance of finding large-scale policy efforts that could help in other states. The second motivating factor was to take on the challenge of studying Medicaid, “a giant program that’s not well understood, that isn’t as widely studied as the Medicare or commercial programs.” He says Medicaid deserves more attention from researchers because of the number of people that it covers and its impact. Since the introduction of CCOs in 2012, Dr. McConnell and his team have been collecting data to show how CCOs affect health care spending and quality. In 2014, the team expanded its scope to also look at CCOs’ influence on health equity. In the current study, McConnell and his team are trying to figure out whether the introduction of CCOs closed the gaps in the amount of health care services that minorities and Whites use, how easily Medicaid enrollees can access health care, and the quality of the care. Dr. McConnell set the course by creating the research question, and the rest of his team has worked on the data management and analysis. “It took some time to understand what we were doing and then reduce that to something that made sense for a journal article,” says Dr. McConnell. Using Medicaid claims data on Oregon residents enrolled in Medicaid from 2010 through 2014, Dr. McConnell’s team focused on comparing Black and AI/AN enrollees with White enrollees, which Medicaid claims data from 2010 to 2011 showed had the greatest disparities before the CCO model launched.2 The team analyzed primary care and emergency department visits, preventable hospitalizations, 30-day readmissions, and other measures. Health equity is a continuing priority for Oregon, says Dr. McConnell: “It is only increasing in importance.” Dr. McConnell and his team have already been collaborating with an advisory group of NIMHD-funded investigators across the country who are also studying health differences among Medicaid enrollees. Other states could use Dr. McConnell’s findings in Oregon to inform further efforts to decrease health care disparities through their policies and practices. Bau, I. (2017). Opportunities for Oregon’s coordinated care organizations to advance health equity. Oregon Health Authority. McConnell, K. J., Charlesworth, C. J., Meath, T. H. A., George, R. M., & Kim, H. (2018). Oregon’s emphasis on equity shows signs of early success for Black and American Indian Medicaid enrollees. Health Affairs, 37(3), 386–393. Oregon Center for Public Policy. (2012). Updated ABCs of CCOs: The basics of how Oregon aims to transform health care.